You cannot go through life as a mother without learning a thing or two from your kids. 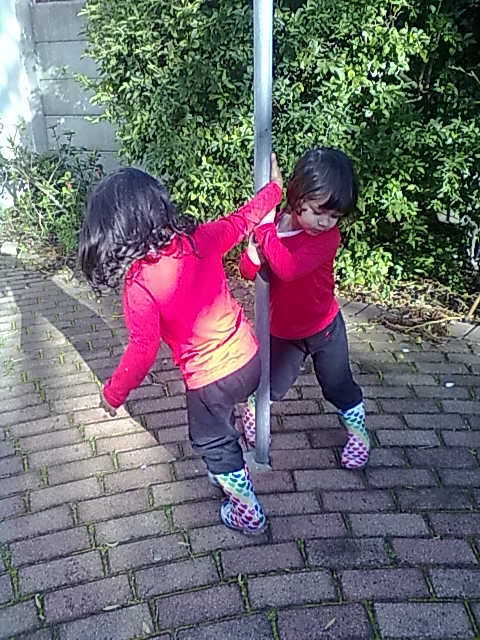 Below are a few things I have learnt from my two year old twins. 1. There is no way that you can reason with your child if he/she is throwing a tantrum, I think that it is the age that they are in or temperament they have, for instance with Zia I can talk her into playing with something like the Ipad or tell her that nanny will give her later, but it doesn’t always work either, not Tazkia though, nothing works with her, if she wants something, she wants it. So, I normally give myself two options, either I ignore her and let her cry it out or I give whatever she wants to her, and normally it’s the latter. Only because I just don’t have the energy or patience to let the tantrum carry on for half an hour or longer. 2. You just can’t take them hooligans out with you, there is just no way. If you think that you can have a nice meal and a fancy restaurant, think again. Give it a couple of years. 3. Your children develop differently. Yes they are twins but they have completely different personalities and they are two separate individuals. 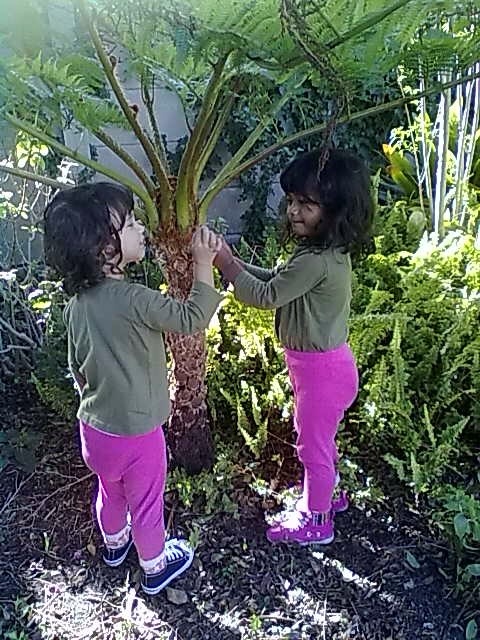 Many parents mistake twins as being one person and treat their wants and needs the same. They may look the same or dress the same but you have to treat them differently and take care of their needs and wants separately. 4. Making two types of food or variety because your kids eat or like different things is normal in your household, for instance, Zia will eat anything under the sun, and a lot where as Tazkia only eat bread, rice, hot chips and pasta type foods with ease, and doesn’t like any type of protein really. You have to cater for both of them. 5. They will test the crap out of you, like when they say mummy a million times during the day and then when you respond, say nothing or when the IPad in just laying around while they are watching TV or playing and the minute you have the IPad to watch your beauty blogs, they decide they want the damn thing, or when you just completed tidying the house or their play room and they throw all their toys on the floor and walk away, you know those type of things! unfortunately, you just have to LET IT GO. 6. And finally in no way and under no circumstances can your husband or partner socialise at gatherings while you running after kids. There is just no flippen way. He has to help, this is non-negotiable. You want to socialise you take a child with. Let me know what you have learnt from your kids by commenting below. Reading this I feel as though u were reading my mind and living my life. I can relate to all of this, I have a 3 year old and 2 year old, both can walk and talk only diff is one is potty trained and speaks full sentences and the other isn’t. The nagging is all the same though and the challenge I have now is giving them equal attention. Which seems impossible. But I always do everything with both of them present so that the other doesn’t feel left out.eg, I gave Hanaa, my 2 year old a hug after I got her ready for bed then my 3 year old Dheeshaan saw and said mom can u pls hug me and I made a funny by saying no but I wasn’t serious and she cried and being stubborn she refused to then hug me back so note to self- ont do that! I take my kids with me to a child-friendly restaurant-only! So that they can run around and leave me and my food the hell alone lol unfortunately going to an ocean basket or some fancy place is out of the question, will need to have them looked after at home before you can think of living it up lol so spur, mcds or panarottis will have to do with them around. It’s nice to know that all women are experiencing the same. So we can learn from each other. We must try to treat them equally, but also give them individual attention. Eish motherhood is hard work. Keep up with the amazing job!